Anytime an auto company manufactures a vehicle component part, it has an obligation to do so not just correctly, but so that it is safe for consumer use. This means that the product must be tested regularly and must meet federal regulations. Hyundai’s Genesis models manufactured between 2009 and 2012 were found to have enough corrosion in certain brake system components that could result in reduced braking efficiency and increase the risk of an accident. After failing to report this specific defect, the carmaker was slapped with a penalty of more than $17 million. Every carmaker, including Hyundai, has a duty to focus on the safety of their products, not just profit. When it comes to safety defects, there is no excuse for failing to report these flaws. That is why companies can be held legally liable for defective products when they put the public in danger. According to the National Highway Traffic Safety Administration, Hyundai was aware of the brake defect dating back to 2012. Instead of choosing to issue a recall of the vehicle, the carmaker simply told dealers to change the brake fluid in affected vehicles. No warning or explanation was issued to inform customers about the potential safety problem. Fortunately, no fatalities have been reported due to the defect, but six drivers have been involved in crashes, including two that led to injuries. 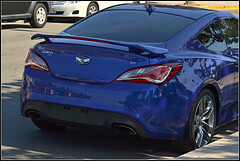 Hyundai has also received close to 100 complaints regarding the Genesis, most of which suggested difficulty in braking. It is important to note that federal law requires automakers to report safety-related defects within 5 days. Because of the fact that Hyundai failed to protect its customers’ safety, the carmaker has agreed to pay a $17.35 million civil penalty and comply with NHTSA oversight requirements outlined in a Consent Order. If you or someone you love was involved in a car accident related to the defective brake system in the Hyundai Genesis in Brooksville, Spring Hill or the surrounding area, please call a Hernando County Auto Accident Lawyer at Whittel & Melton right away at 352-666-2121 or contact us online for a free consultation. Our injury attorneys can help you recover the fair compensation to which you are entitled.